In May 1940 the Germans ensured a smooth transition of all shipbuilding activities for the RNethN to the Kriegsmarine, including agreed cost and payments. In that way the Kriegsmarine was able to commission the following units during the first war years: one destroyer, three gunboats, three submarines, eight MTBs, a fleet tanker, three minesweepers and twelve inshore minesweepers. Also a small number of other warships fell into German hands, that had to be left behind for various reasons, like two brand new MTBs and three obsolete and demilitarized protected cruisers. Due to the growing allied air power, these old ladies still had to play a part in the war when the Germans rebuilt them as floating A/A gun emplacements. The Niobe (ex-Gelderland) was not very successful in her new guise. On July 16, 1944 the vessel was quickly sunk by the Soviet Air Force during her first mission in the Finnish Gulf. The Batterijschip IJmuiden (ex-Jacob van Heemskerck) and the Hertog Hendrik returned to the Netherlands after the war and spent the rest of their careers as depot ships. We assume that the two 1938 Estimates cruisers would have looked like this, if the Kriegsmarine had been able to have them finished after their fashion. Using the design of DE RUYTER as a starting point a new cruiser class took shape on the drawing boards of the Ministry of Defence Bureau of Ships or Bureau Scheepsbouw in 1938, in order to replace the ageing JAVA and SUMATRA. At first a main armament of eight 15 cm (5.9 in) guns was selected, but eventually this was stepped up to 10, mounted in triple and twin turrets. The A.A. battery consisted of two groups of three 40 mm Bofors twin mounts, situated abaft and afore the upper works. Also, eight 12.7 mm machine guns in twin mounts were provided for close A.A. defence. 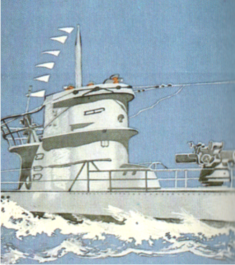 The armament was to be rounded off by two triple mountings of 53.3 cm (21 in) torpedo tubes. Until 10 May 1940 construction went according to plan. Much material had already been worked in the vessels and with Bofors in Sweden production of the 15 cm turrets was in full swing, when the Kriegsmarine took charge of the project with the goal of finishing the hulls as KH 1 and KH 2. For a number of reasons the cruisers got never anything near completion, although EENDRACHT received a modified ‘Atlantic’ bow after German naval fashion. During the last years of the war all activities came to a halt, so two unfinished cruiser hulls could be recovered by the Royal Netherlands Navy when Holland was liberated. In 1946 it was decided to complete the cruisers after a recast design, in which war experience and the latest tactical concepts in naval warfare were taken into account. After some shuffling and re-shuffling of the vessels' names the Eendracht was launched as Zeven Provinciën and her sister ship as De Ruyter. The main battery had been reduced to eight 15 cm (5.9 in)-guns (4 x 2). The AA armament consisted of eight 57 mm (2.24 in) guns (4 x 2) and eight 40mm-Bofors machine guns (8 x 1). When commissioned in 1953 both ships were fitted out with a propulsion plant that was divided into two separate units, each comprising of a boiler room and an engine room. Another complication of the new design had been the large number of modern electrical devices that had to be shipped in support of navigation, gunnery direction, aerial defence and so on. Before the advent of micro-electronics this equipment consumed a relatively large volume inside a 1938 hull. To operate and service it, 300 additional crew members had to be accomodated, so it is not surprising that the ships gained a reputation of being rather crowded between the decks. In the meantime the Swedes had found ways to utilize the triple and twin turrets that the Bofors company had manufactured in 1940. Two light cruisers, GÖTA LEON and TRE KRONOR were built around them, construction of which started in 1943. After the Dutch surrender three incomplete gunboats were seized by the German Kriegsmarine. The vessels belonged to a series of seven. The other four had not yet been ordered at the time, but the Germans ordered the completion of running orders in accordance with the original schedule. The main armament was supplied by Wilton-Fijenoord, the firm of Piet Smit built the engines and the State Arms Company or Artillerie Inrichting Hembrug manufactured the shells and charges. Gun foundations for the 40 mm MGs were used to mount four 37 mm guns, while instead of four 12.7 mm MGs 20 mm guns were put on board, the number of which was extended to twelve later in the war. K I was lost during the last days of the war at Aarhus, Denmark. K 2 and K 3 were recovered at Horten, Norway. Both vessels were towed to the Netherlands, but K2 was damaged beyond repair and had to be written off. 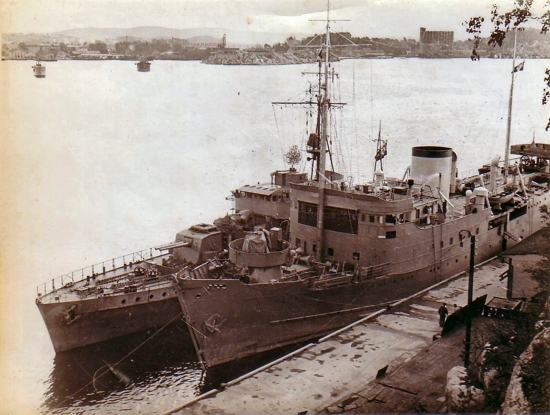 The remaining unit was eventualy commissioned by the Royal Netherlands Navy as VAN SPEIJK and was stricken in 1960. In 1953 her machinery were replaced by the Sulzer engines from O 23, which was being scrapped at the time.